The current outbreak of Ebola is in the northeast corner of the Democratic Republic of the Congo, which borders South Sudan, Uganda, and Rwanda. The area affected is more than 1,000 miles by air from Kinshasa, the capital of the DRC. Past outbreaks of Ebola in the DRC typically occurred in sparselypopulated, rural areas. The current outbreak—like the prior outbreak in West Africa—includes densely-populated urban areas, increasing the likelihood of human- to-human spread. 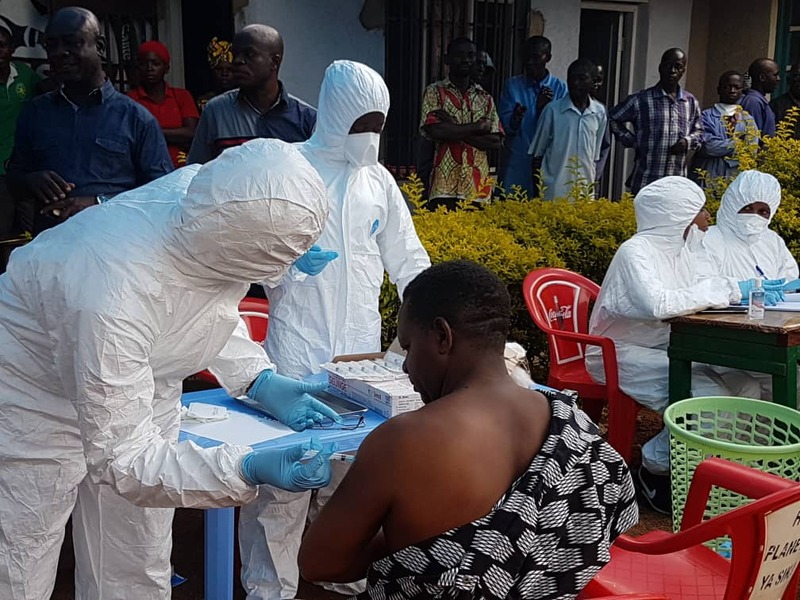 Since the outbreak began, the greatest number of cases has been in Beni town (235 cases), which has a municipal population of 340,000 and a greater area population of about 1 million. 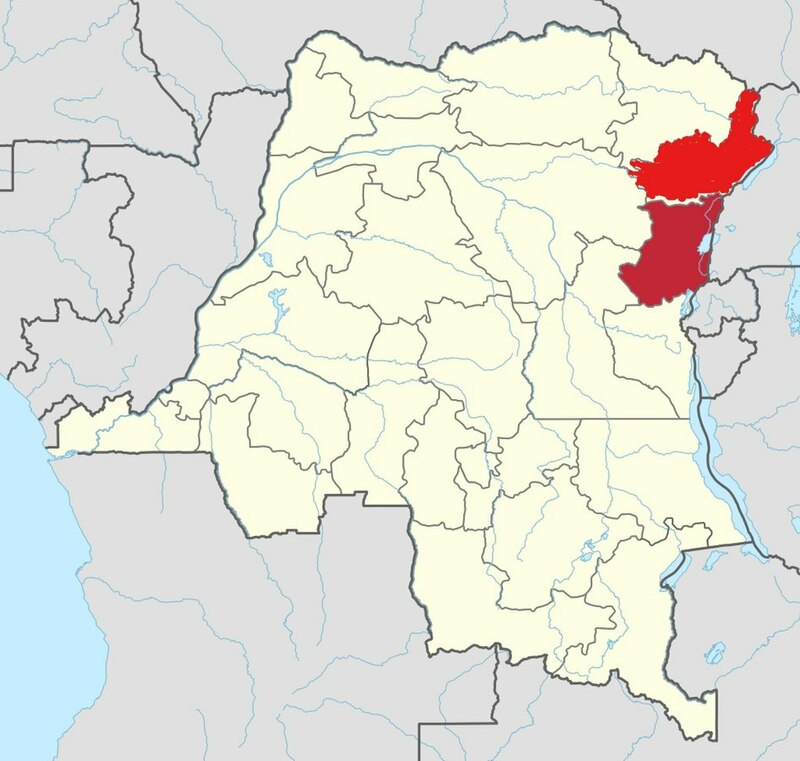 North Kivu health zones of Katwa (260 cases) and Butembo (84 cases) are also heavily-affected, and encompass an urban area with a population of approximately 1 million. The affected region is about 780 miles away from Equateur province, where a prior Ebola outbreak was reported in May 2018 and declared over in late July. Although both outbreaks were caused by Zaire ebolavirus, genetic differences between the viruses suggest the two outbreaks are not linked. The departure order was lifted on January 31, 2019 following the peaceful completion of the electoral process. CDC’s Country Director for the DRC has returned, and CDC has deployed five staff to Kinshasa. CDC is ready to deploy more teams to support the DRC and WHO and the integrated U.S. Disaster Assistance Response Team (DART) emergency outbreak response, as required. Specifically, CDC would apply its technical and scientific expertise to help strengthen contact tracing and infection control practices in the field, two critical factors affecting ongoing transmission in the area. We are working closely with other U.S. government agencies, such as Department of State, the U.S. Agency for International Development, Department of Defense, National Security Council, and others to consider all potential options for support and deployment. CDC is continuing to support contact tracing, infection prevention and control in healthcare settings, border health, risk communications and health education, and vaccine administration— key pillars of the Ebola outbreak response. Contact tracing is finding everyone who comes in contact, either directly or through contaminated materials, with a sick Ebola patient. Contacts are watched for signs of illness and if ill, taken to a health facility before they can infect others. One missed contact can keep the outbreak going. When someone is not known to be a contact, they are usually only identified in a late stage of illness and have spread the infection to others already. As of March 7, 2019, a total of 4,265 out of 4,950 (86%) known contacts of people with Ebola were followed. However, of recent cases, only 65% were known contacts and only 38% were known contacts that were being followed at the time of symptom onset. The high proportion of cases that are not known contacts or lost to follow-up indicates that contact tracing must improve if the outbreak is to be contained. CDC designed “train- the-trainers” courses for frontline response workers, focusing on contact tracing methods. CDC also created an Ebola “Exposure Window Calculator” app for case investigators, which can be downloaded for free on smartphones. CDC social and behavioral scientists have deployed to WHO headquarters and several countries bordering the DRC to guide risk communication and community engagement strategies. Risk communication leads from CDC, WHO, International Red Cross, and UNICEF have set a strategic direction for risk communication activities and produced a framework that has been shared widely with response partners. CDC and the Red Cross are leveraging the unique strengths of each of their organizations to bring the perspectives of DRC residents to the attention of Ebola response teams. Red Cross volunteers engage with and educate DRC community members about Ebola and document individuals’ beliefs, observations, questions, and suggestions about combating Ebola. Red Cross sends this information to CDC, where scientists analyze it and develop reports for all participating partners to inform outreach efforts. Data are being collected and analyzed at regular intervals to monitor changes in knowledge, attitudes, and perceptions as the outbreak evolves and to assess the effectiveness of health communication messages. One week after discovery of the Ebola outbreak in North Kivu, frontline health workers begin vaccination at the Magina health center. Credit: WHO. The DRC serves as an example of a country where CDC investments have built capacity since program operations began in 2002, including activities specifically to prepare for an Ebola outbreak. These efforts have also fostered strong relationships with the DRC and surrounding countries’ ministries of health that have proved critical in times of crisis. In May 2018, an outbreak of Ebola in the Equateur province of the DRC raised international concern due to its size, logistical challenges caused by the remote area, and early spread to more populated cities. That outbreak was limited to 53 cases and 29 deaths. The swift response ensured it was quickly controlled, and on July 25, 2018 WHO and the DRC officially declared that the outbreak was over. Without a doubt, our global health security activities in the DRC enabled a faster, more effective and successful response to the May 2018 outbreak, and have made a difference even considering the complex security situation of the current outbreak. The DRC Field Epidemiology Training Program (FETP), developed with assistance from CDC and modeled after CDC’s own training programs, has trained around 150 disease detectives who are crucial to accurately detecting and identifying outbreaks. The DRC graduated its first cohort of FETP residents in 2015. These are the disease detectives who are supporting the current Ebola outbreak and serve as an example of how CDC supports sustainable capacity development of countries to respond to outbreaks within their own borders. Training programs like these work effectively because they are complemented by decades of field experience that CDC experts bring, teaching new detectives how to not only respond to issues after they have occurred, but rapidly identify diseases and prevent spread. CDC maintains long-standing collaborations in the DRC for priority diseases, including monkeypox virus response and prevention, building capacity and skills that have been beneficial for Ebola response. Sustainable investments, such as resources and expertise to train laboratory technicians, renovate and upgrade two laboratories, and establish a National Emergency Operations Center in the DRC, are all being leveraged in the current Ebola response.